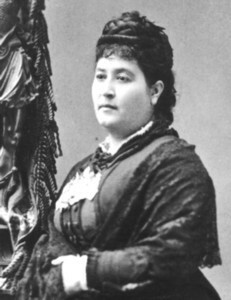 Maria Amparo Ruiz de Burton (1832-1895) was the first published Mexican American writer after the war with Mexico (1846-1848), as well as the first Mexican American writer after this time to write in English. It was Ruiz de Burton’s debut novel Who Would Have Thought It? that earned her this title in 1872. Married to United States Army Captain Henry S. Burton, her social surroundings afforded her a unique perspective on American society and politics. However, a loyalty to cultural roots and a deeply personal understanding of cultural displacement became the primary focus of Ruiz de Burton’s writing. Recent recovery and dialogue now recognizes Ruiz de Burton as a precursory writer of Chicano literature. Ruiz de Burton’s second novel, The Squatter and the Don, addresses the struggle of Mexican American “Californios” after the Mexican American War (1846-1848). 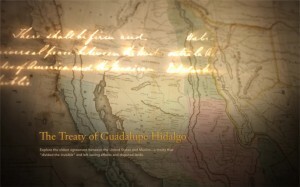 It confronts the political and social realities of becoming “migrants” upon a land long regarded as “home.” Her novel vividly portrays the struggle of those promised property protection under the Treaty of Guadalupe Hidalgo (1848), and tackles the consequences of disenfranchisement, dual nationality, manifest destiny, faulty and inadequate legislation, corrupt courts, corporate monopoly, race, class, gender, and interracial marriage. Ruiz de Burton’s narrative is a historical romance, highly sentimental, but undeniably Mexican American in its advocacy for equality, justice, and inclusion. Who Would Have Thought It? (1872). Reprinted with introduction (1995),(2009). Don Quixote de la Mancha: A Comedy in Five Acts: Taken From Cervantes’ Novel of That Name (1876). 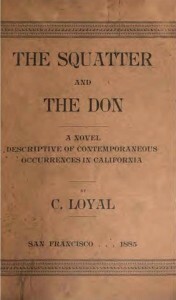 The Squatter and the Don: A Novel Descriptive of Contemporaneous Occurrences in California (1885). Reprinted with introduction (1997). The Mexican American conversation in the United States today concerning social justice and equality is a vibrant one. 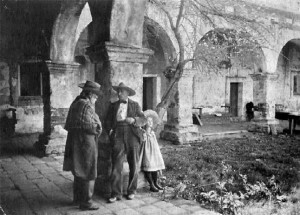 The fact that many American citizens are unaware of the diverse and integral position Mexican Americans held in the founding of the West has often led to misunderstanding and even dismissal of Mexican American voices. The Squatter and the Don is valuable, not only as a poignant and moving narrative, but as a narrative that propagates a wider view of who early Mexican Americans were. The novel offers alternative views of the roles they held within society, as well as the important influence their struggle had on social justice in America.